If you are a commercial, competitive and creative bid manager with a passion for creating compelling campaign messaging and winning in the market – this could be the role for you. EY is looking for a CaPS to project manage and develop value propositions for our global firm’s most strategically important and highest value sales opportunities. The CaPS is responsible for strategic pursuit opportunity management and developing pursuit campaign messaging to help win new business. As this is a ‘flying’ role, you will need to be willing to work in the country where your pursuit is being lead out of. The level of travel is an 80:20 split between travel and working in your home country. Managing the entire pursuit process which includes developing win themes, writing the document, supporting presentation preparation, working with creative design and project managing the proposal process. Taking a proactive role in driving the pursuit process and developing strategic and tactical proposals, timelines and procedures to win new business. Monitoring the progress of all pursuit activities to ensure adherence to deadlines and quality standards. Monitoring and analysing the impact of business/financial news on targets. Facilitating meetings with account team members to evaluate the business and client issues and helping develop stakeholder engagement strategies from the beginning of the pursuit process. Attending and actively contribute to the kick-off strategy, status, follow-up/debrief, and presentation preparation meetings. Developing top quality proposals, presentations and other client meeting documents including final editing, proofing and delivery of materials to the target to ensure consistency. Ensuring that message quality, format, and content meet the target's objectives and are consistent with firm-wide communication guidelines. Defining best practices and ensuring that leading practices are shared within the pursuits group and across EY. Engaging with the business to drive the use and development of content for our ‘Proposal of the Future’ self-service suite of materials, tailored by market. Helping develop, drive and execute on various wider business development initiatives. Commercial, competitive and creative bid managers who are passionate about for creating compelling campaign messaging and winning in the market. 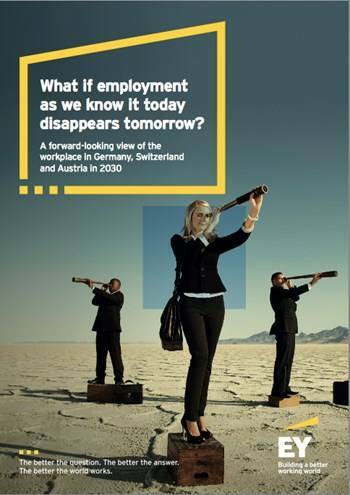 EY is committed to being an inclusive employer and we are happy to consider flexible working arrangements. We strive to achieve the right balance for our people, enabling us to deliver excellent client service whilst allowing you to build your career without sacrificing your personal priorities. While our client-facing professionals can be required to travel regularly, and at times be based at client sites, our flexible working arrangements can help you to achieve a life. Graag ontvangen wij je sollicitatie voor de vacature van Communications & Pursuit Strategist (CaPS) - Flying, Manager (EMEIA FSO) bij EY in Amsterdam inclusief CV via deze directe sollicitatielink.